This graph shows the real Gross Domestic Product (GDP) of Canada in 2017, by province. In 2017, Ontario added about 652 billion chained (2007) Canadian dollars of value to the real GDP of Canada. 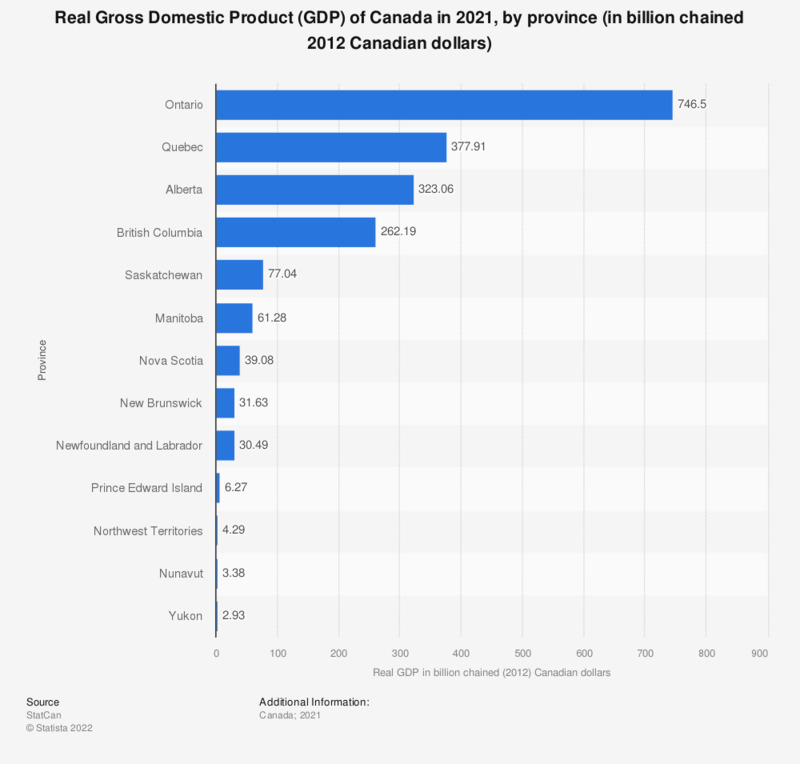 The real estimates of Gross domestic product (GDP) by province are measured in chained (2007) Canadian dollars.